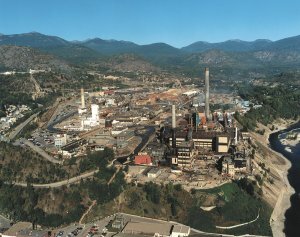 WENATCHEE, Wash. -- Five years after a Canadian mining smelter agreed to assess the impact of its pollution in U.S. waters, an American Indian tribe is calling the effort inadequate. The Confederated Tribes of the Colville Reservation also say the U.S. Environmental Protection Agency hasn't done its job to oversee Teck Cominco American's analysis of environmental damage in the upper Columbia River and Lake Roosevelt. The Wenatchee World reports a company official says the complexity of the study makes it difficult to come up with sampling plans that please everyone. The EPA has found the company's lead and zinc smelter in Trail, B.C. - about 10 miles north of the U.S. border with Canada - dumped millions of tons of toxic slag and heavy metals into the Columbia River in Canada.